Who said primary colours were only for children? This cheerful home makes me smile with it's brightly coloured bunting, garlands and accessories and there's not a little one in sight! The great thing about all of these items is that they can be moved or exchanged at anytime - such a quick and easy way to update a home! 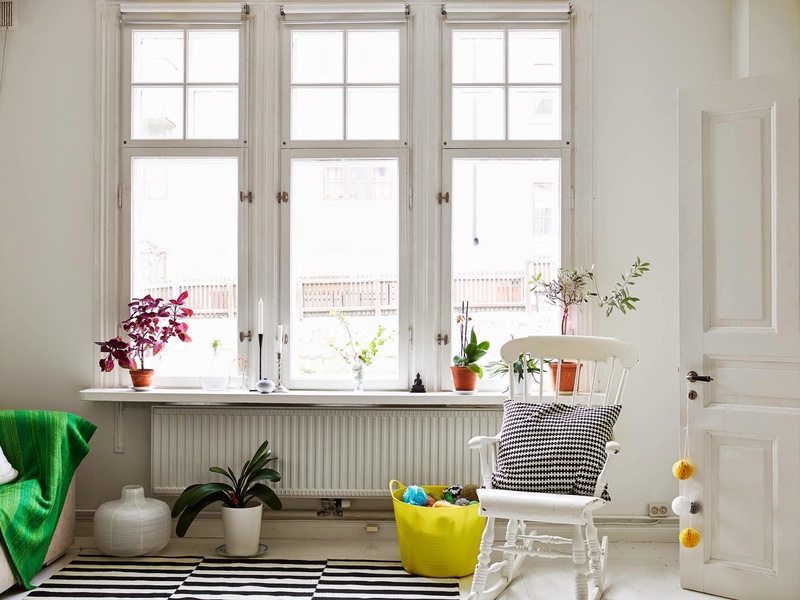 It helps that the former Swedish carpenter studio has beautiful bones too of course, but I think this apartment demonstrates that it's very easy to bring out the kid in all of us, don't you agree?! What do you think of these pops of bright colours? 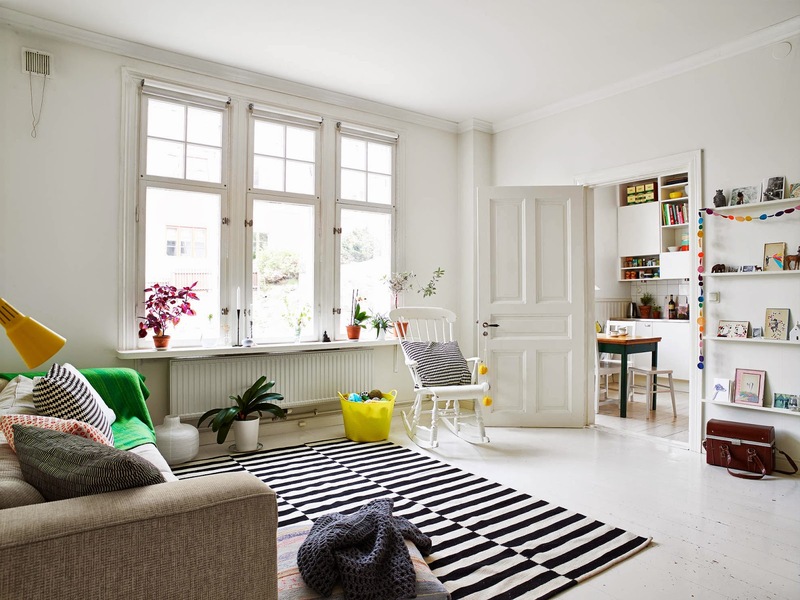 I spy IKEA rugs, cushions and hooks. Search Etsy for a ton of vintage lamps and colourful garlands. I love this bright coloured bunting and pom poms. I also love these paper flowers, in fact the more I search, the more colourful home decor items I find, it's like opening pandora's box!! 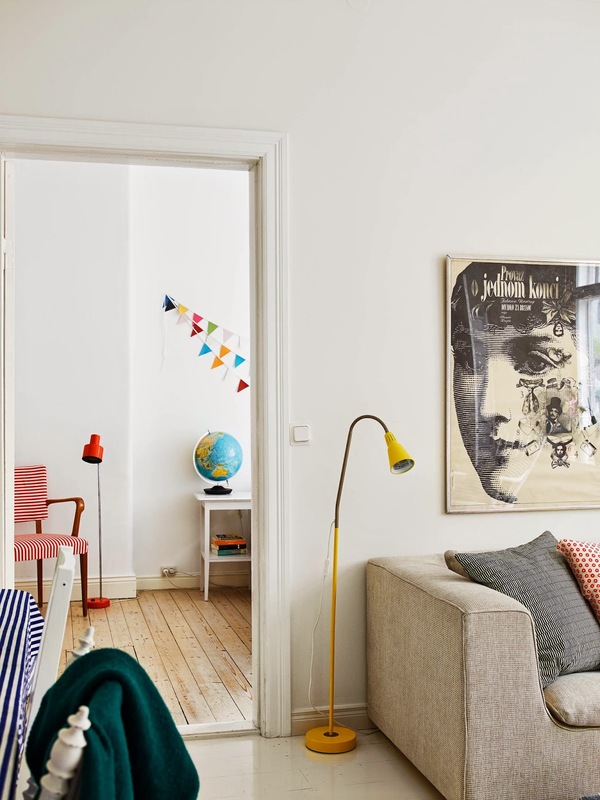 Other colourful home inspiration to be found in the happy home of Jenny Brandt, this vintage inspired Southern Sweden home and a fresh and modern apartment in Malmö. Bright Bazaar's new book 'Embracing Colour for make-you-smile style' is also teeming with fab inspiration. Have a lovely, bright and cheerful Monday! 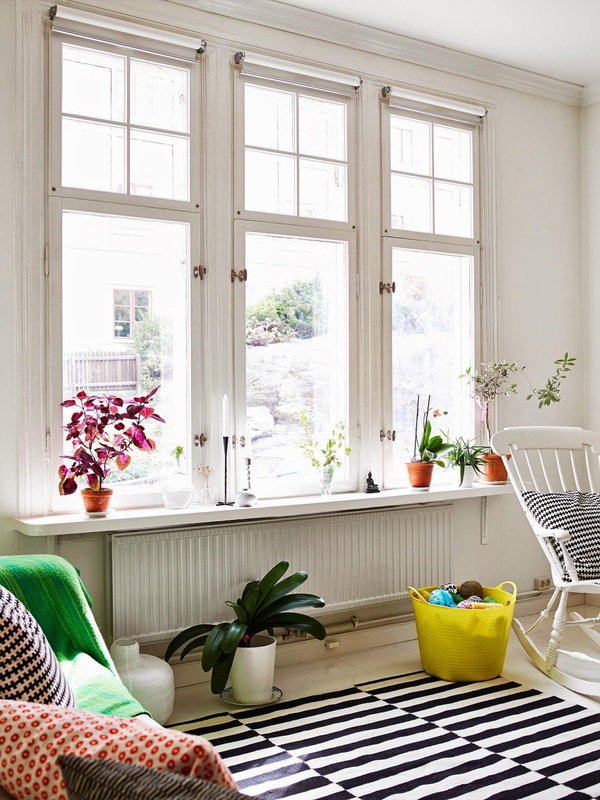 Such cheerful spaces and so liveable! Have a nice day Niki! Wow! Really it makes me inspired to decorate home in a brighter way. 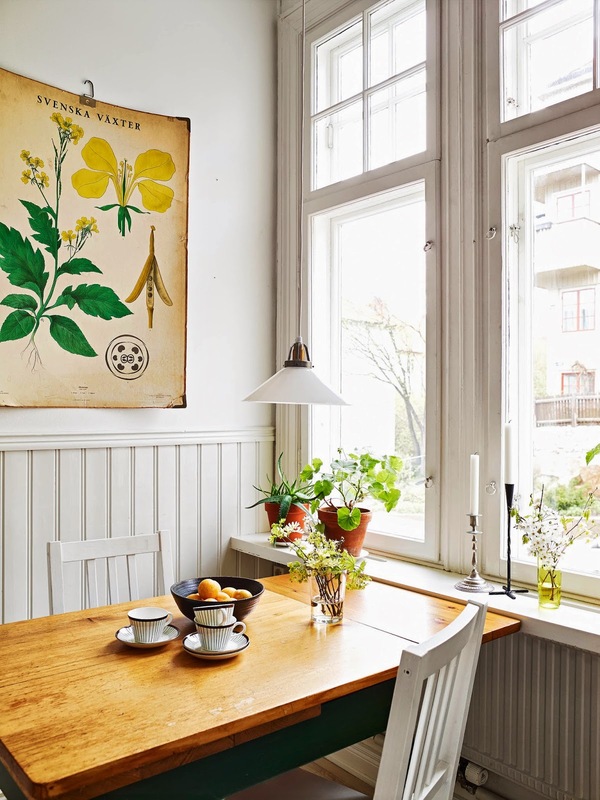 This is really a beautiful interior desingning making home looks bright and beautiful. Thanks for sharing such a lovely post here. Yeah this home makes me smile too. It's really beautiful. Cheerful is the best word to describe this house! Now that one I like! love this house-home!! white and contrast of vibrant colours! beautiful! Very sweet! Could anyone source the sofa for me? What a lovely home. Those pops of colour add interest and can cosy feel to the space. Love those windows too! Now I want a rocking chair! Great post! Been Reading a lot about painting my home. Thanks for sharing these ideas! 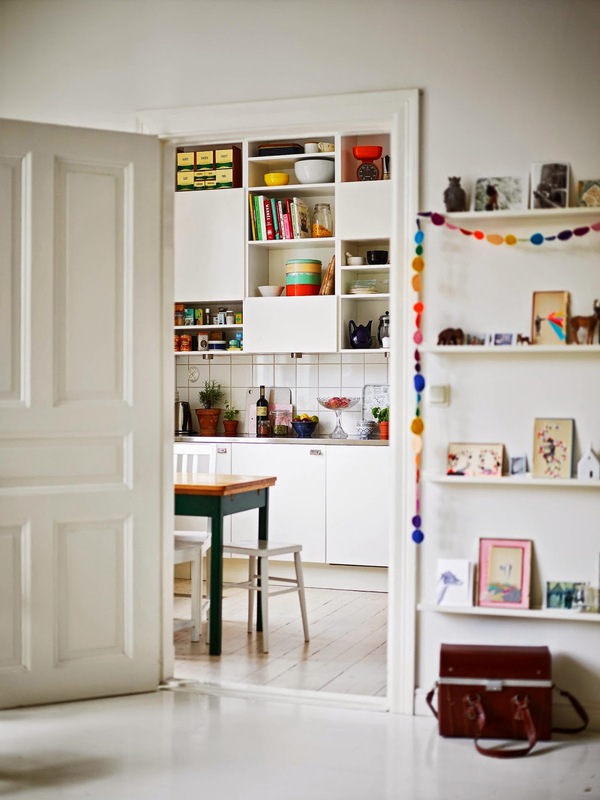 I love the idea of you sharing about the items you see in the photos (in this case, the Ikea rugs, etc). 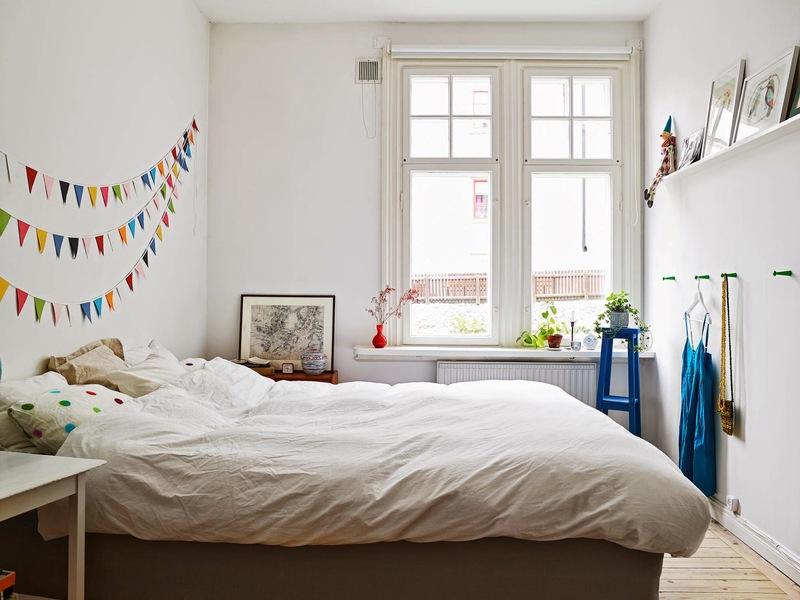 So often I see photos on style blogs on wonder: where can I get that blanket? Who made that chair? Thanks!